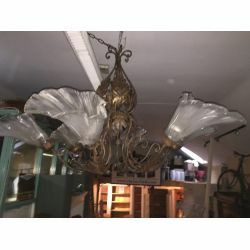 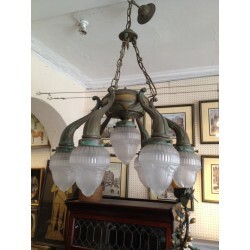 Antique Lighting There are 17 products. 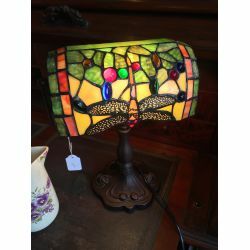 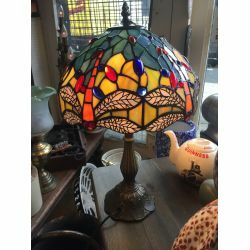 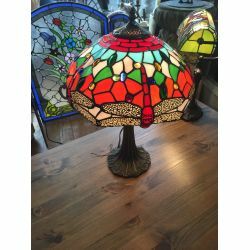 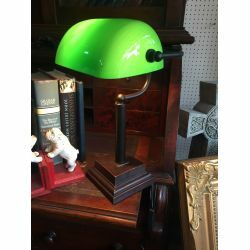 Tiffany Style Desk or Banker Lamp in Green. 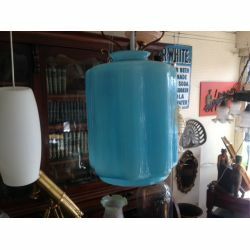 Blue Glass Light Shade Measures 180 mm high x 120 mm diameter. 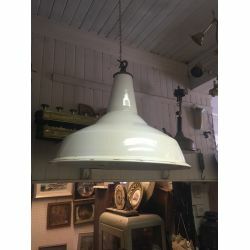 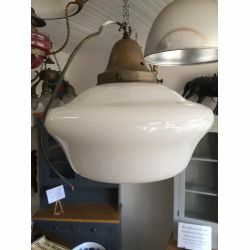 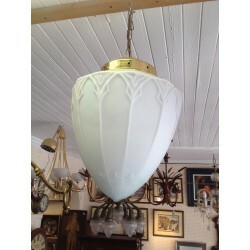 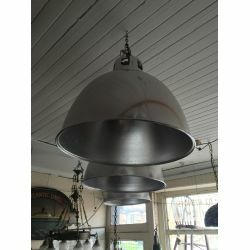 Brass Ceiling Light Shade; ceiling pendant lantern light in polished brass,great ceiling light for a hallway, entrance hall or foyer of a more traditional property.Measures; 640 mm high x 340 mm diameter. 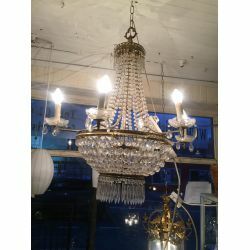 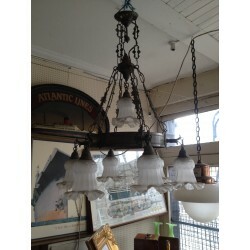 A French style basket chandelier with strings of octagonal droplets and pretty detailing to the central brass frame. 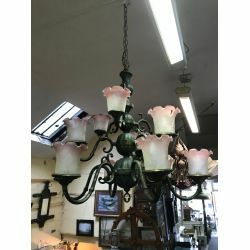 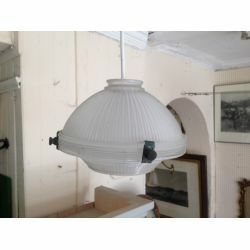 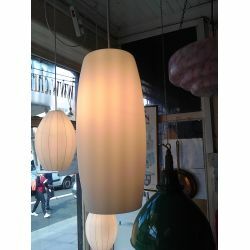 It accommodates 6 external bulbs and 3 internal ones.Classic piece and nice size; measures, 880 mm high x 700 mm diameter. 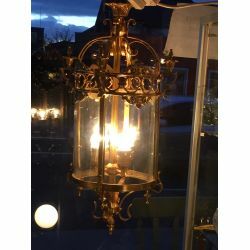 Close fitting pendant light in the original brass finish complemented by period Vaseline glass shade with a stylized Gothic design.